Capabilities & Services | AGP & Associates, Inc.
Communications work best when they work together. Because AGP has such a wide range of “in-house” capabilities, we can create integrated communications packages that deliver a high rate of return on your investment. Don’t see the capability you need here? Contact us. Chances are we do that, too! 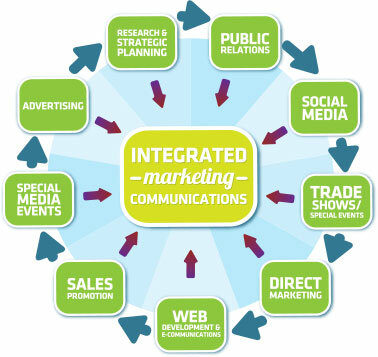 There simply isn’t enough room on the integrated communications wheel to showcase everything AGP can do for you. is a full-service marketing, advertising and communications agency located in Midland, Michigan. Established in 1992, AGP has decades of experience creating strategic marketing communication plans and programs for all kinds of industries and organizations. We develop websites, print and electronic direct mail and ads, social media and public relations, product and company literature, presentations, sales kits, videos, billboards, trade show displays, and more for clients across the Great Lakes Bay Region and around the world. ©2019 AGP & Associates, Inc.